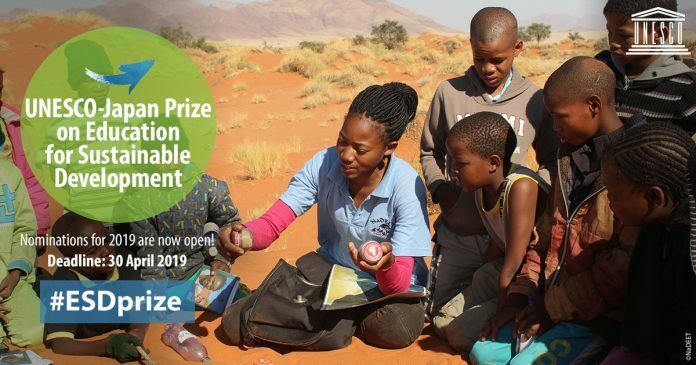 The call for nominations for the fifth edition of the UNESCO-Japan Prize on Education for Sustainable Development (ESD) is now open. The UNESCO-Japan Prize on Education for Sustainable Development (ESD) honours outstanding projects by individuals, institutions and organizations related to ESD. The UNESCO-Japan Prize was established in 2014 in the framework of the GAP, and is generously funded by the Government of Japan. This year’s winners will be announced by the Director-General of UNESCO in September. Next: 2019 Forbes Africa Under 30 Nominations now open!